In the city of Zadar, Croatia, the Sea Organ, or Morske Orgulje, as it’s known locally, is an artistic attraction located on the waterfront. The Sea Organ has 35 organ-like tubes hidden under the stone steps. The ocean waves create air pressure in the tubes, which results in eerie, haunting harmonic sounds when the waves hit the coastline. 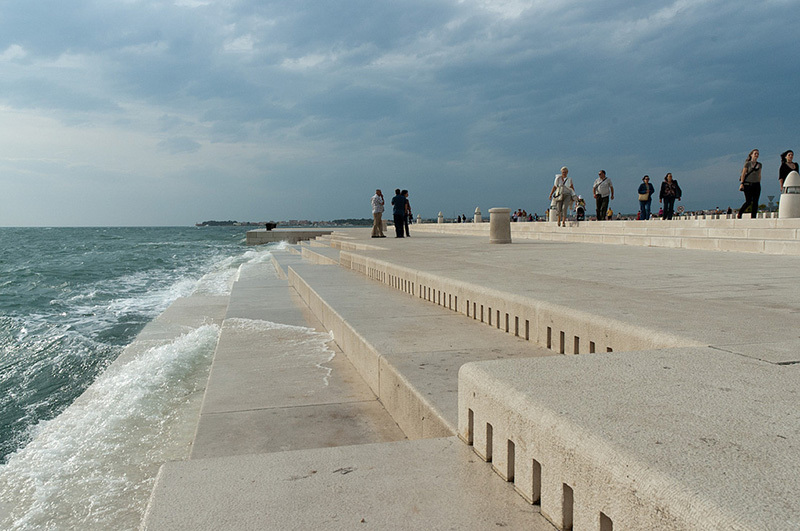 In 2005, architect Nikola Bašic, designed the Sea Organ as part of a redesign project of the area. Watch the video below to hear the sounds the Sea Organ makes.